This is the Begg Knives Glimpse 7.0. 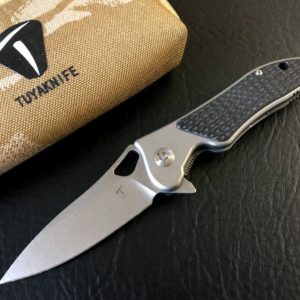 The handle scales are made from black G-10 with carbon fiber inserts. The blade is made from CPM-S35VN. Designed by Todd Begg these Glimpse 7.0 are manufactured by WE Knife.